This week on Laugh & Learn with Really Social… Who’s Who in Social Media featuring guest Carlos Gil Carlos is the Global Head of Social Media for BMC Software, a Snapchat Strategist, and was recently the keynote speaker at Social Media Day Denver 2016 in San Diego. But there’s far more to Carlos and what brought him to who he is and what he does today. When you watch this interview, you’ll learn about the obstacles he overcame, the experiences he uses to help businesses succeed in their missions, and the choices he made to lead him to today and his life of zero regrets. Enjoy this month’s video interview, and don’t forget to connect with Carlos on social media! Laugh & Learn’s Blab series welcomes Beth Johnston to May’s Who’s Who in Social Media! Who’s Who in Social Media? Beth Johnston | Social Bridges Tuesday, May 3 | 3pm MT Watch live below or join the Blab to interact! Lucy specializes in marketing and PR, and learning about how she got to where she is today is sure to provide valuable insights to other pioneers. As the founder of Tintero Creative and a founding member of Colorado Women in Social Media, Valerie provides us with more than just her own background; any business owner or innovator will benefit from her words of wisdom. We need a ReDo with Valerie Morris! Join us for a redo of our Blab interview with digital marketing extraordinaire, Valerie Morris, owner of Tintero Creative and a barn somewhere in Colorado. Watch live here or ask your own questions on Blab. Who’s Who in Social Media? Valerie Morris, that’s who! From social media and post graphics to digital marketing and SEO, Valerie guides Tintero Creative and their clients to success through the ever-changing landscape of digital communications. WHO’S WHO IN SOCIAL MEDIA WITH Melody Jones @SocMedMelody Listen to the melody of the social media orchestra as we Blab with Melody Jones! Melody is the owner of Social Media Management Services LLC with a mission to make more time for you by managing your social media. Additionally, she is the founder of Colorado Women in Social Media, which appeared last year at a standing-room-only panel called Becoming an Influencer. 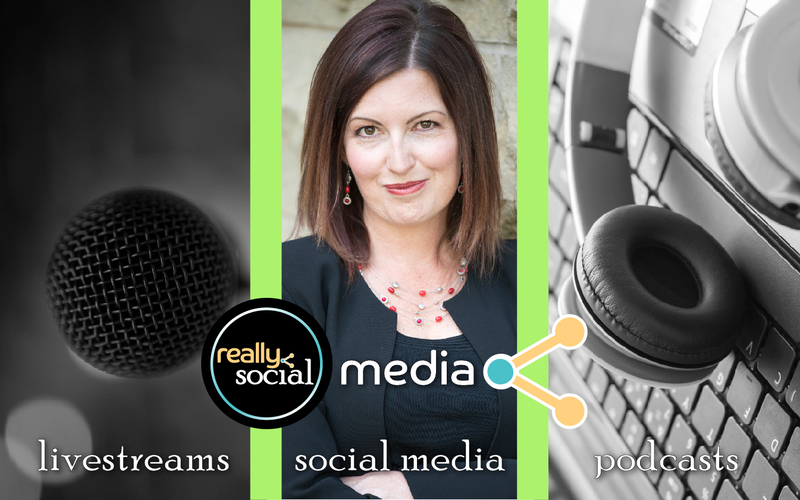 Hop on with us as we chat about Melody’s background, business savvy, and learn what makes her a “Who’s Who” in social media today. Who’s Who? Hollie Clere, that’s who!